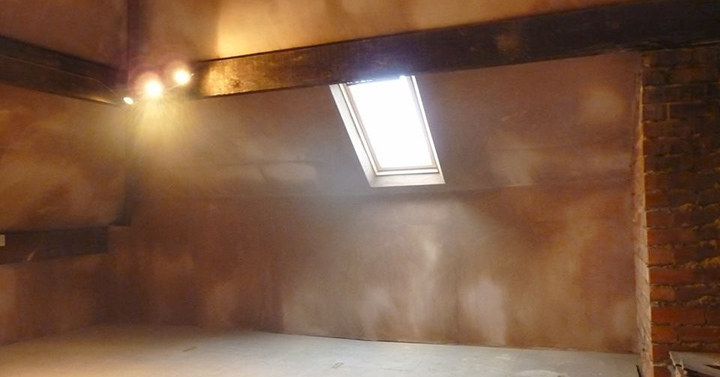 If you wish, we can fix plaster board and apply a plaster skim to any areas of the loft roof that you specify. This can be applied to the whole roof. Alternatively, if only a section of the loft is to be floored we can erect stud frames and apply plaster board and skim to them to partition off the floored area. This gives a really clean finished look to the space and can of course be decorated. You can of course have the plaster board fitted but choose not to have plaster skim applied. If required we can apply a layer of insulation behind the plaster boards. A price for the above service can be given during the estimate appointment.